The importance of engagement and negotiation seem all but forgotten in the rush to condemn Trump over his attempts to repair the United States’ relationship with Russia. Instead of praising Trump for his efforts to strengthen the relationship, the traditional media attacks everything President Trump does in an attempt to deflect attention away from the congressional investigations into widespread corruption and collusion by President Obama, the Hillary Clinton campaign and the top-levels of the US intelligence agencies to prevent the election of and then subvert the administration of President Donald Trump. The tribalism and obstruction by the extremist Democratic Party along with America’s traditional media are doing much more to sow discord than Russia and its $100,000 in Facebook ads could have ever accomplished. 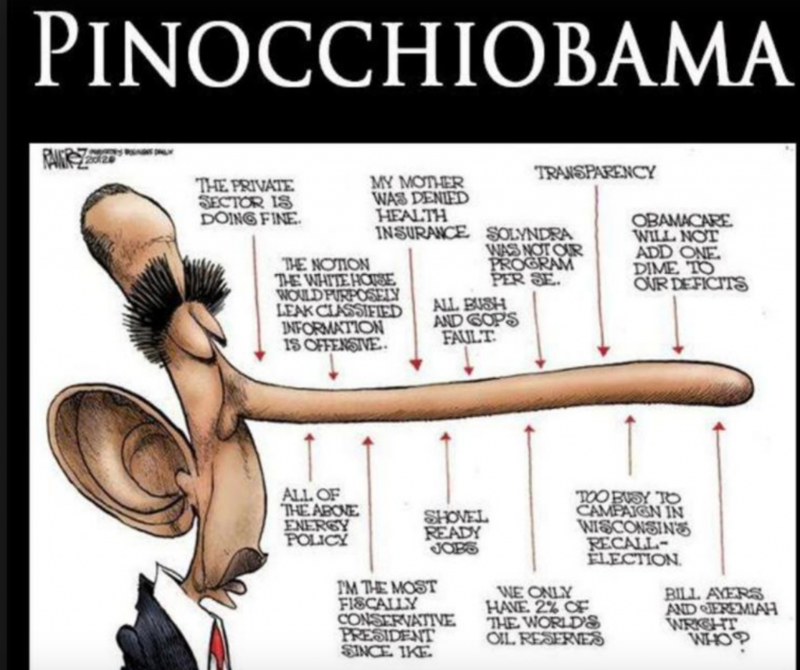 The Democratic Party led by Barack Obama, New York Senator Chuck Schumer, Congresswoman Nancy Pelosi, and other members of the resistance including CNN propagandists John Brennan, James Clapper and James Comey, all of whom were President Obama’s appointees to the USA’s most powerful intelligence agencies, have joined forces with the disingenuous, corrupt media in yet another attempt to delegitimize Donald Trump’s presidency and to stage a bloodless coup d’état removing the democratically elected President Trump and his administration. Nearly every member of the Democratic Party refuses to vote for any GOP proposal or legislation crafted to move America forward. Their mantra: resist at all costs until they regain control of Congress. And the traditional lapdog media is along for the ride. The media’s editorial narrative is extremely supportive of doing anything, at any cost, to remove Trump from office. 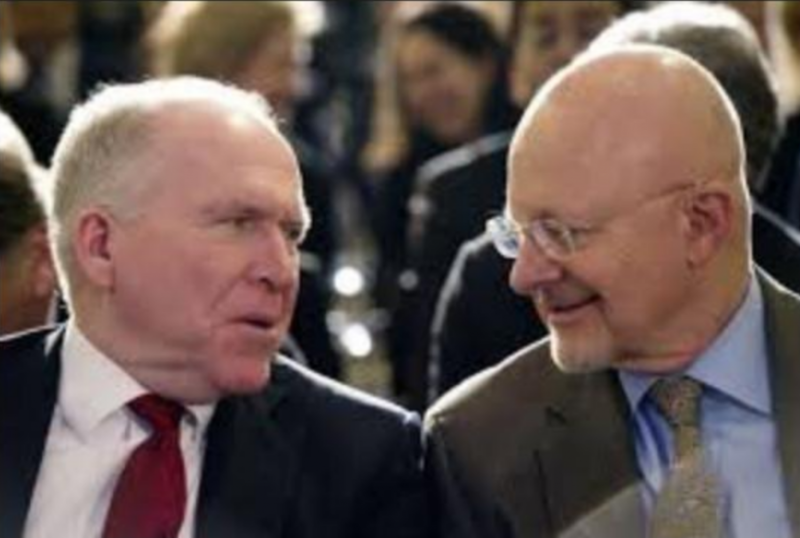 Brennan to Clapper – The fix is in! And this isn’t the only example. The following frightening examples of extremely biased rhetoric from senior members of the FBI, CIA and NSA illustrate how many top intelligence officials are motivated by political power, hate and their desire to remove Trump from office by any means necessary. Former CIA director John Brennan accused President Trump of treason by stating, “Donald Trump’s press conference performance in Helsinki rises to & exceeds the threshold of ‘high crimes & misdemeanors.’ It was nothing short of treasonous. Not only were Trump’s comments imbecilic, he is wholly in the pocket of Putin. Republican Patriots: Where are you?? ?”The next day, Brennan doubled down suggesting vital US intelligence and national security briefings should be withheld from the commander in chief. Brennan remarks are the ones that seem treasonous. Did Obama’s comments constitute Russian collusion? What kind of deal did Obama want to make? Why was the media silent? Was Obama lying about his knowledge of Russian hacking? Was this collusion? Again, why was the media silent about this? Russia is not the problem. China is the problem. Unfortunately, for most Americans, the Chinese government has purchased all the swamp monsters in Washington DC. So the four D’s—divert, deflect, deceive and deny—are what this focus on Russia is all about. Will we ever drain Washington DC’s corrupt swamp? Why has Jeff Sessions remained silent? Why is disgraced FBI agent Peter Strzok still employed and being paid by taxpayers? When will Robert Mueller, Christopher Wray and Rod Rosenstein be fired? Will Christopher Wray and Rod Rosenstein be able to slow walk and obstruct Congressional oversight until Democrats take control of Congress and/or the Senate? Let’s face it, folks, democracy died under the rule of Emperor Obama’s reign. These unaccountable, lying, rogue intelligence agencies have far too much power—power that they were never meant to have. It is time for President Trump to declassify ALL the relevant “corruption” documents that the DOF and the FBI are slow walking and or hiding and let the American people decide.